Keiko Corporation has been distributing telecommunication related products, fiber optic products and beauty equipment worldwide for more than 50 years. We supply you quality products with reasonable price, quick response and reliable service. Professional headsets for call centers and office. Very popular in US and Japan now. Big call centers and large companies have been using AI headsets for long time since we launch our products. Now we are looking for distributors in Asian countries to extend our business. High quality PMMA optical fiber for lighting and data. 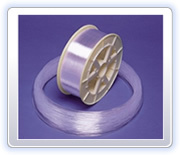 Both of bare and Jacketed fiber are available. Glass optical fiber (GOF) #SOG-70 for lighting application. Only bare fiber in bulk. for any requests or questions.